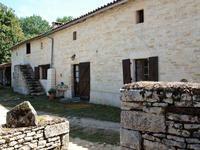 Fully renovated three bedroom stone farmhouse with garage,outbuildings, garden and woodland. Situated in a hamlet, surrounded by rolling countryside, perfect for horse riding, walking . . .
Open to offers -Country farmhouse 4 bedrooms, outbuildings, bread oven, large garden and land in a hamlet near Melle. Set in the pretty village of Sepvret. Ideal for cycling, horse riding and country walks. Only . . . 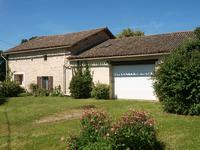 Established gite complex with 3 bed owners' house in almost 3 acres. Swimming pool. Potential for more gites. This fabulous gite complex really has it all. Established as a business for the last 14 . . .
A well presented property with reception room, kitchen and dining room on the ground floor. . . . This property has wonderful potential ...set in the pretty village of Chey this substantial . . . Pretty detached stone house offering four bedrooms, open barn, outbuildings and attached garden set at the end of a quiet lane. Pretty detached stone house offering four bedrooms, open barn, outbuildings and attached . . .
Detached three bedroomed stone house with attached barn and gardens in a quiet hamlet close to Lezay. Detached three bedroomed stone house with attached barn and gardens in a quiet hamlet close . 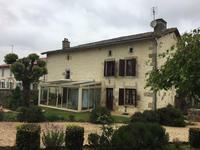 . .
Tastefully renovated property, nestling in grounds of 4006m2 with mature trees and shrubs, & . 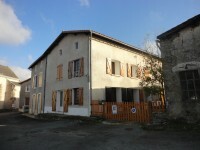 . .
Rustic 2 bedroomed farmhouse – with swimming pool & feature pigeonnier! A cosy farmhouse with swimming pool & a mightily impressive pigeonnier in the garden. The . . .
Property ideal for horses or market garden operation, good sized house with garden & mature . . .
Good sized house with garden & mature fruit trees. Possibilities for Gites (planning permits . . . 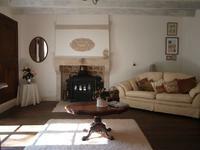 Located in a lovely quiet village this stunning 3 bedroom stone house has character . . . Substantial 4 bedroom house set in a small hamlet just 2 km from the market town of Lezay . . .